Here's another way to make sure you're getting bone broth into your daily routine. Let's be honest, sipping broth day after day becomes monotonous, not to mention how unappetizing a piping hot broth in the middle of the summer sounds. 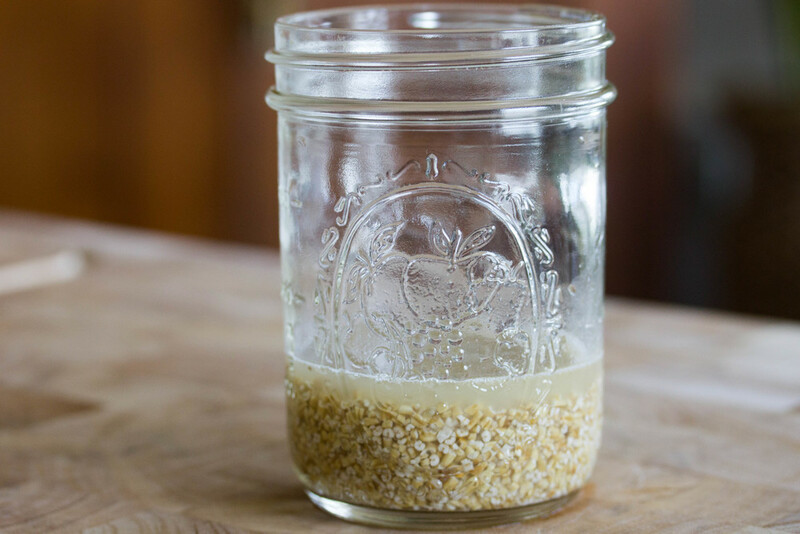 With these easy overnight oats, you can still reap the benefits of broth without even knowing it's there! I used a simple chicken broth in this recipe and it gave the oats a very mild flavor and a touch of saltiness which tasted amazing after it was drizzled with honey. The combinations for this recipe are endless, I soaked my oats plain overnight but you can always add fruit, nut butters, honey, seasonings, etc. for flavor. 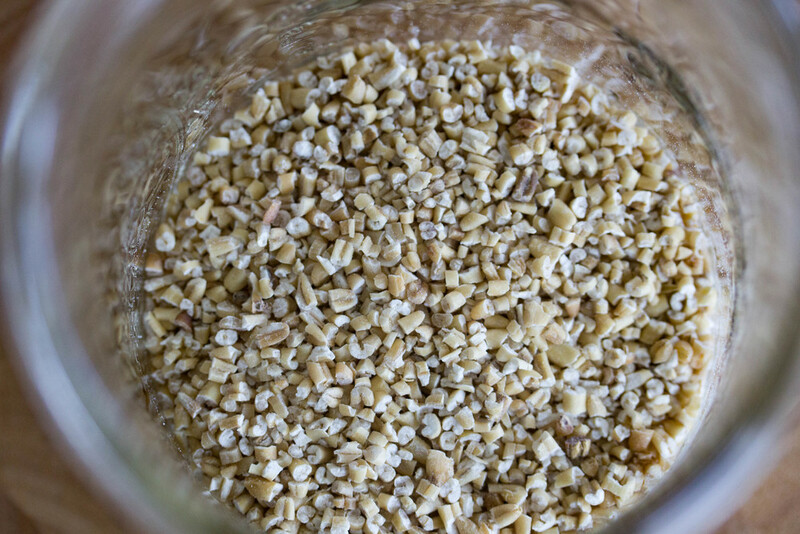 Add equal parts oats and broth to a jar (I used 1/3C oats and 1/3C broth) and soak overnight in the refrigerator. Remove from jar and place in a serving bowl. Add honey and cinnamon and mix well. 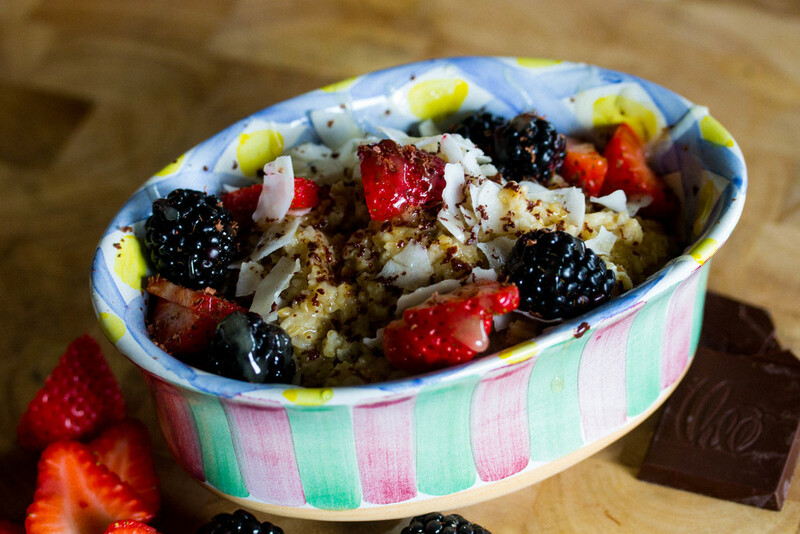 Top with mixed berries, coconut flakes, and shaved chocoloate or any variations of choice.